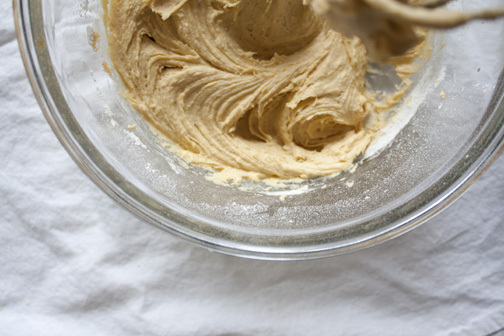 I hope you’re prepared for the most addictive cookie in the universe. As far as I’m concerned, pretty much all of the girl scout cookies are addictive. Luckily for me, I tend to grocery shop at odd hours and therefore never run into anyone trying to sell me cookies. Actually, maybe I should say unluckily; my life is seriously lacking in the thin mint department. 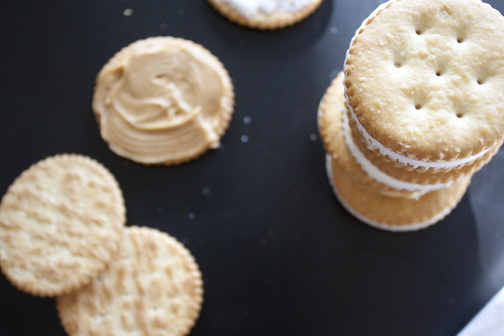 Let’s forget about thin mints for the moment and get back to my obsession with all things peanut butter. I’m not lying when I say these taste exactly like a tagalong cookie and I can very easily eat twelve without feeling that guilty. 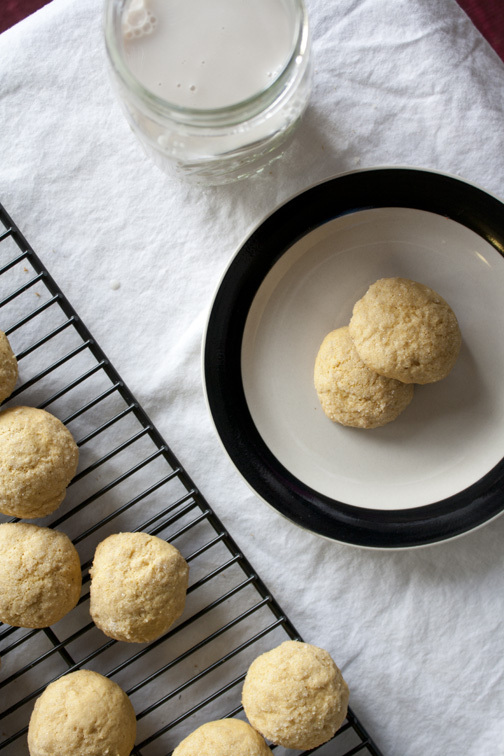 These will satisfy all of your sweet/salty cravings and with just four ingredients, I don’t understand why you’re not off making them right this second. 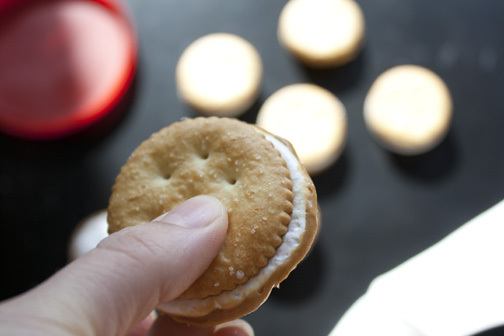 You can obviously omit the marshmallow fluff for a more traditional tagalong cookie but I wanted to be fancy. And you can’t get fancier than marshmallow fluff. 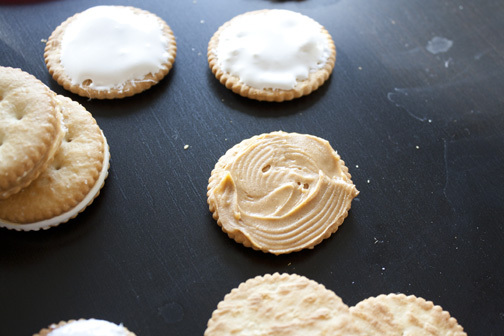 Make small peanut butter and fluff sandwiches with the crackers. Melt chocolate in microwave or double boiler. 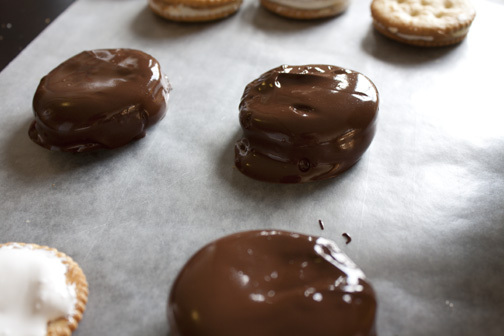 Using a spoon or fork, carefully dip and coat the cookies into the melted chocolate. 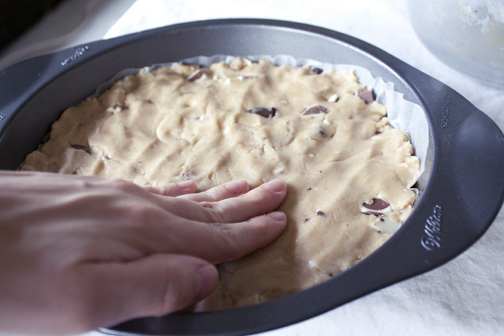 Place on wax or parchment paper, sprinkle with sprinkles or crushed up crackers and wait until the chocolate hardens. 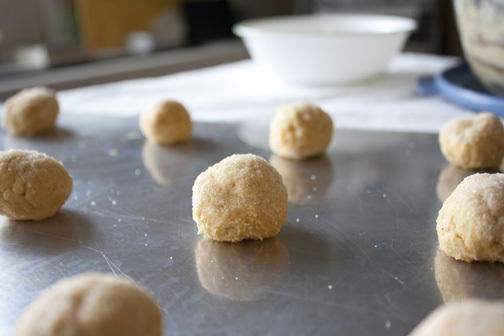 (You may want to speed up that hardening process by placing them in the fridge and leaving them there until serving. They melt easily). 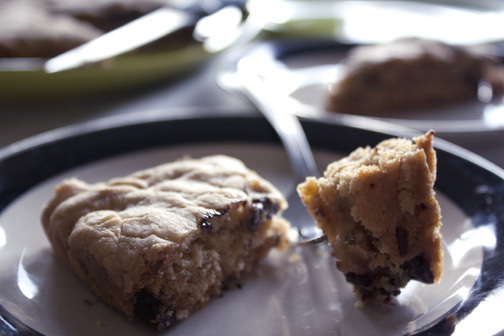 These should be on your Superbowl dessert table because amongst all the yelling, grunting, cheering and beer spilling, it will be nice to eat something so refined (except when you start fighting over the last one). I literally just made these yesterday and I’m dying to share. 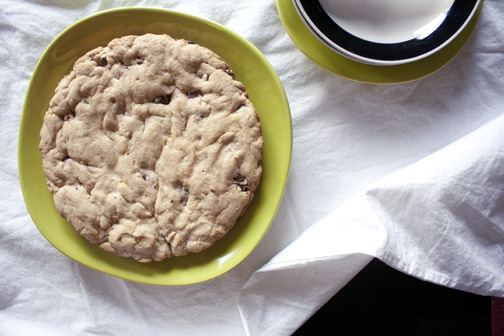 I love all things about this cookie. It’s sweet, it has a little crunch to it and it’s just so packed with flavor. I’ll admit that I wasn’t too sure how they were going to turn out but I ate three right out of the oven. The roof of my mouth hates me right now but it was worth it. 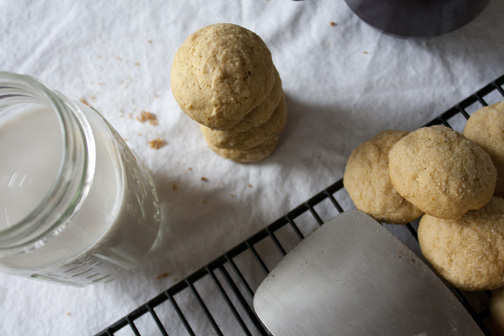 You can’t beat cookies straight from the oven. 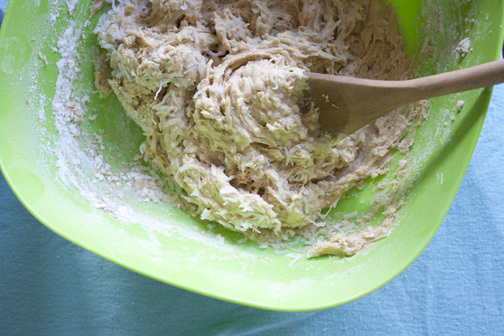 The dough was probably my favorite part. 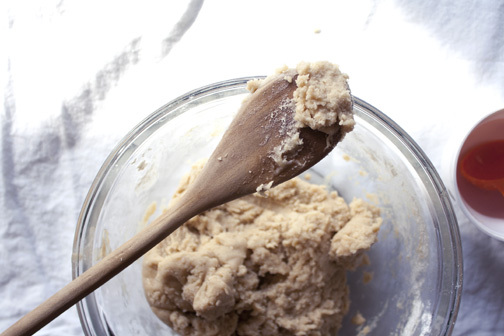 I’m sure this recipe could make about four dozen cookies…I only got about three but then again, I did eat my weight in cookie dough. 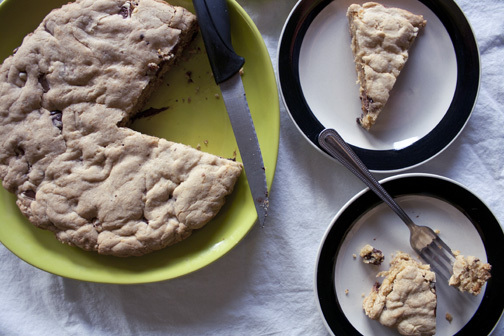 The calories don’t really count until it’s in cookie form, right? 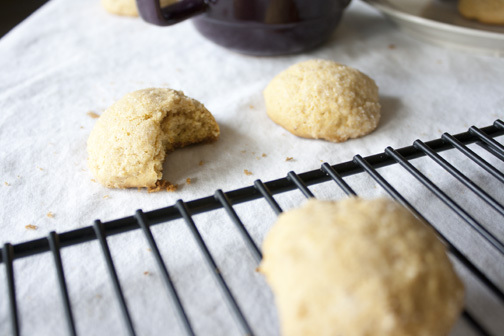 What’s really great about these cookies is that you can totally adjust the recipe to your liking. 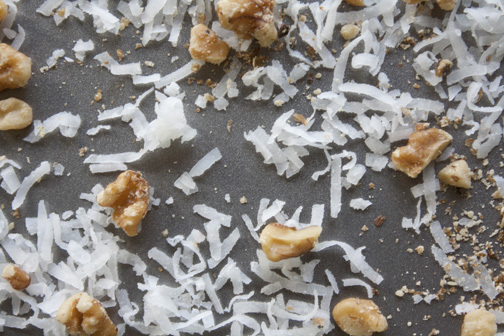 If you’re a huge coconut fan, go ahead, add an extra handful or two. 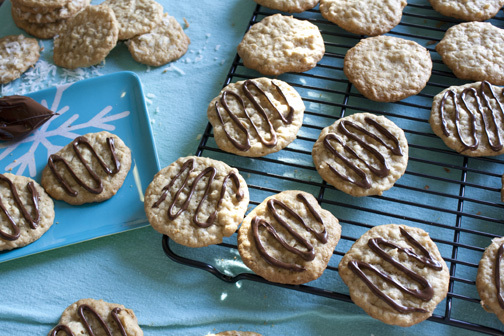 Not feeling the chocolate drizzle or it’s too much of a hassle? Totally cool. 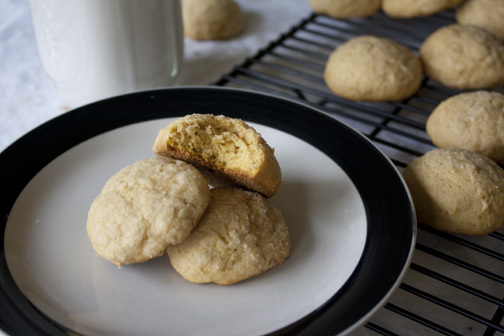 They taste just as great without it, trust me, I did ample sampling. Although there is definitely something beautiful about that chocolate drizzle on top. Especially when you’re the one doing the drizzling (or being the drizzler) because you get to melt all that wonderful chocolate and secretly hope there’s going to be extra so you can lick the bowl, spoon, bag etc. Also, feel free to use any type of chocolate. I only had semi-sweet mini chocolate morsels but I’m positive that dark chocolate would be absolutely gorgeous drizzled on top. White chocolate would be great as well, I’ll keep that in mind for next time. 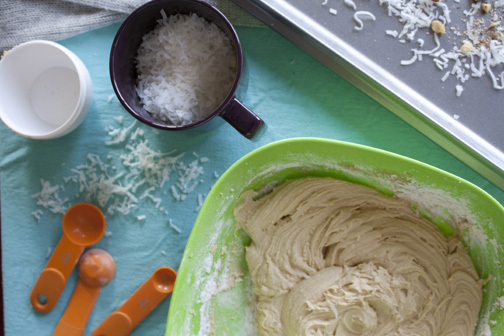 You can either drop the dough by the spoonfuls onto an ungreased cookie sheet and bake for 8 – 10 minutes or chill the dough for about thirty minutes, then rolling the dough into a loose ball and dipping the top into coconut for extra flavor, then also baking 8 – 10 minutes. It’s up to you, they both taste equally fantastic; I did half and half. 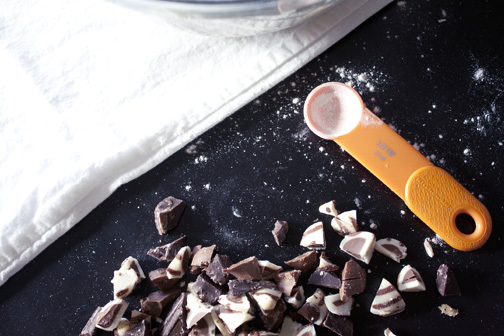 Melt chocolate in the microwave for 1 – 2 minutes and spoon into a small ziploc bag. 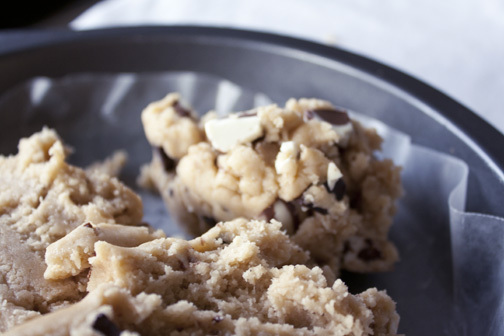 Make a very small cut in the corner of the bag; drizzle chocolate over cookie. 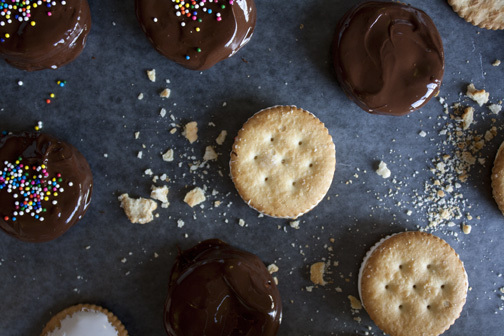 Allow chocolate to cool completely before storing cookies in a jar or tin. With all this coconut talk, I really want a piña colada.